Open source is now at the forefront of every major breakthrough in technology. It is time we challenge the status quo and think differently. To compete in the digital economy, we need to collaborate and participate in the open source communities of today. Red Hat Forum is where we connect technology experts across a wide range of fields to collaborate and solve critical issues. It’s where you get insider access to the people, network and knowledge. That’s the power of participation. That’s the Red Hat Forum. Learn the latest in technology trends, network with industry leaders and experience open source solutions at the very heart of Red Hat Forum 2016. Come together, collaborate and experience the Power of Participation. Exciting keynote presentations and interactive breakouts will arm you with best practices to meet your business objectives. Watch this space as the full agenda will be published in due course. 9:10 AM Business Keynote - "Power of Participation"
9:55 AM Technology Keynote - "Building an Architecture for Continuous Innovation"
Lenovo Session - "Transforming the Datacentre"
11:30 AM Forrester Analyst - "The Power of Open Source Innovation"
12:00 PM Microsoft Session - "Leveraging Open Source and the Cloud for Digital"
Learn and connect with top industry leaders as they share their insights and latest industry trends at Red Hat Forum 2016. Watch this space to find out who our speakers will be this year! 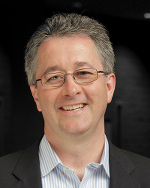 Joe Fitzgerald is the Vice President of the Management Business Unit at Red Hat. Prior to this position, Joe was the co-founder and former CEO of ManageIQ, a leading provider of cloud management solutions, which was acquired by Red Hat and is now an integral part of the Red Hat Infrastructure portfolio. Cathal McGloin, Red Hat vice president and general manager of Mobile Platforms, works on making Red Hat Mobile Application Platform the leading open source, cloud-based enterprise mobile platform. In 2010, he organized the funding, commercialization, and spin-off of FeedHenry from the Telecommunications Software & Systems Group. Cathal joined Red Hat when it acquired FeedHenry in 2014. 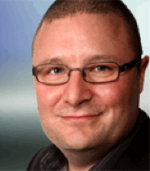 He has served on the boards of several startups and is a frequent speaker on the topic of enterprise mobility. Based in Sydney, Australia, Tim helps business and technology management leaders across Asia Pacific drive better customer outcomes using technology. He helps clients focus on business technology (BT) and identifies opportunities to drive real business outcomes through the use of BT. In the age of the customer, companies that embrace the right disruptive technologies are better positioned to meet their customers’ needs in that time of need — Tim’s role is to help clients set their technology strategy and embrace the digital disruption. We are joining forces with some of our strategic technology partners for Red Hat Forum 2016. Our sponsor list continues to grow, so check back to see who you can look forward to connecting with. Microsoft’s mission is to empower every person and every organization on the planet to achieve more. We are a cloud first, mobile first company delivering technologies that assist companies to navigate through their digital transformation to engage their customers, transform their products, empower their employees and optimise their business operations. We have developed our Microsoft Azure cloud platform to give customers choice and flexibility to deliver their technology outcomes, leveraging leading open source platforms such as Red Hat Enterprise Linux, OpenShift and JBoss or integrating Java code with our compute and platform services or IoT, Cortana intelligence and analytics APIs. Lenovo is a $46 billion global Fortune 500 company and a leader in providing innovative consumer, commercial, and enterprise technology. Lenovo enterprise systems deliver industry-leading performance, reliability, and security in virtualized and cloud environments for analytics, database, virtual desktop, infrastructure, and web workloads. Lenovo also offers simplified and extensible systems management tools so you can manage your infrastructure on your own terms. Consistently ranked #1 in reliability and customer satisfaction, the Lenovo enterprise server, storage, and networking portfolio provides the hardware for businesses that never stand still. For nearly 40 years Intel has been leading and bringing new technology to the marketplace. Whether it's a mobile lifestyle or a new way to enjoy entertainment at home, Intel is helping people all over the world accomplish things they never before dreamed possible. In the end, it's not just about making technology faster, smarter and cheaper — it's about using that technology to make life better, richer, and more convenient for everyone it touches. Established in 2004, Avocado is a growing IT professional services consultancy specialising in improving the performance, security and stability of business critical applications. Our operational intelligence, digital performance management, automation and software development solutions help you optimise your processes and applications to deliver an exceptional customer experience. Whether you have a one-off automation project, or you’re looking to digitally transform your organisation, Avocado can help you deliver with certainty. Avocado – your Ansible service delivery partner. We Are In the Acceleration Business. Under the Dell EMC brand, we have combined EMC’s Information Infrastructure business and Dell’s Enterprise Solutions Group to create our Infrastructure Solutions Group, which includes RSA and Virtustream. Dell EMC will enable our enterprise customers’ digital transformation through our trusted hybrid cloud and big-data solutions, built upon a modern data center infrastructure that incorporates industry-leading converged infrastructure, servers, storage, and cybersecurity technologies. Rackspace (NYSE: RAX), the #1 managed cloud company, helps businesses tap the power of cloud computing without the challenge and expense of managing complex IT infrastructure and application platforms on their own. Rackspace engineers deliver specialised expertise on top of leading technologies developed by AWS, Microsoft, OpenStack, VMware and others, through a results-obsessed service known as Fanatical Support®. The company has more than 300,000 customers worldwide, including two-thirds of the FORTUNE 100. Rackspace was named a leader in the 2015 Gartner Magic Quadrant for Cloud-Enabled Managed Hosting, and has been honored as one of Fortune’s Best Companies to Work For in six of the past eight years. Access our whitepapers and explore how you can transform your I.T. environment to capture more opportunities in the market and empower your business for future challenges. Watch this space as our list of whitepapers will be published in due course. Ansible by Red Hat® can help organizations achieve an effective approach to business automation, but the path to DevOps can be long and complex. Outdated habits must be replaced with more efficient practices, but new tools and processes require buy-in from various stakeholders across the organization. Red Hat Mobile Application Platform brings together agility, integration, and centralized control for mobile innovation and a competitive edge. This platform offers a suite of features that embrace centralized control of security and back-end integration, collaborative app development, and a range of deployments to increase the speed of app integration with enterprise systems and delivery. Red Hat® OpenShift Container platform is an application platform that helps organizations develop, deploy, and manage existing and container-based applications seamlessly across physical, virtual, and public cloud infrastructures. The effective use of data has become critical to enterprise competitiveness and profitability. Storage administrators play a key role in overcoming the many challenges of collecting, retaining, managing, and using growing enterprise data. Red Hat® Storage—which includes Red Hat Ceph Storage and Red Hat Gluster Storage—helps storage administrators and their enterprises easily manage unstructured, semi-structured, and big data in physical, virtual, and cloud environments to increase competitiveness, improve performance, and reduce costs. A Red Hat subscription gives you access to enterprise-ready software, updates, and information and support services that span your entire application infrastructure, life cycle, and architecture. You can count on receiving the latest product versions with the stability and security you've come to expect from Red Hat. Red Hat Learning Subscription is an exclusive program that provides you with 1 year's access to all Red Hat Online Learning courses. You will receive unlimited access to our online learning content, up to 400 hours of hands-on lab time, and more than 300 recorded instructor videos—all for one low price.